Thanksgiving dinner is a mammoth of a meal, so much so that it usually requires a period of rest and relaxation as soon as the final crumbs are cleaned off the plates. When you've cleared away the platters and silverware, get out the French press and brew up a batch of delicious coffee drinks. Then unwind with some great conversation and reminiscences with friends and family. This recipe combines the after dinner coffee with a decadent dessert. It's super delicious and easy to make right at home. Brew the coffee in your Mr. Coffee® Electric French Press. Grab two glasses and spread the chocolate sauce along the interior sides in a vertical pattern. 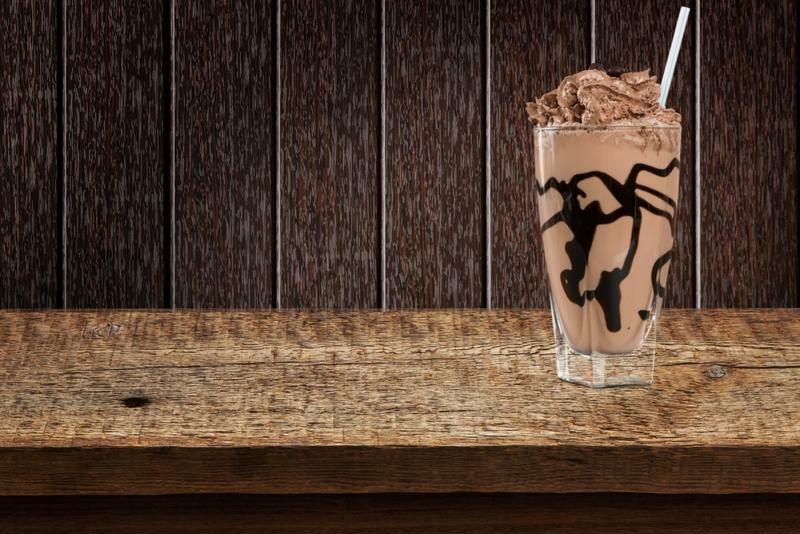 The glass should look as if it's striped with chocolate. Spread marshmallow cream around the lip of each glass. In a blender or food processor, combine the coffee and ice cream until they are well mixed. Pour the mixture into the glasses and top with crushed graham crackers. Garnish with a chocolate drop and serve. A frappuccino is a dessert and drink all wrapped up in one. Would you rather drink your pie than eat it? Look no further than this tasty recipe that tastes just like the real thing! Brew the espresso in your Mr. Coffee® Steam Espresso & Cappuccino Maker. Let cool for 30 minutes. In a blender, combine the coffee, milk, ice, sugar, pumpkin puree and pumpkin pie spice. Blend until smooth, for about 40 seconds. Add the cinnamon syrup and whipped cream, blend for another 10 seconds. Pour mixture into a tall glass, top with more whipped cream and serve. You make your coffee at home, so why not make your own flavored syrup at home too. This recipe keeps well in the refrigerator so you can enjoy it in all your coffee drinks. Store in a bottle with a pump top and use it in your next cup of coffee.